Society6 I Love You & Chips Pillow Sham King (20'' x 36'') Set of 2 by Society6 at World Singles for Love. MPN: s6-6582785p61a207v725. Hurry! Limited time offer. Offer valid only while supplies last. 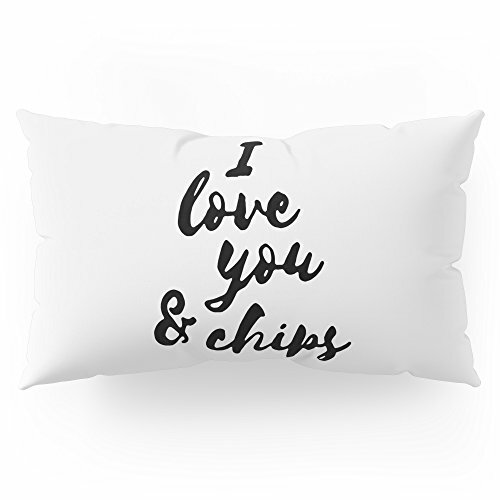 Society6 I Love You & Chips Pillow Sham by misscharm. Our Pillow Shams merge creativity with premium fabrics, bringing unique style to your bedroom. Society6 I Love You & Chips Pillow Sham by misscharm. Our Pillow Shams merge creativity with premium fabrics, bringing unique style to your bedroom. Each design is printed on soft, fuzzy 100% polyester for rich colors and sharp images that don't fade. The reverse side is a white 50/50 poly-cotton blend with an envelope closure down the middle to keep pillows snug. Machine wash cold (no bleach), tumble dry low. Available in standard (20" x 26") or king (20" x 36") sizes.